The stately home in Sudbury has announced a host of educational days in the new school year including a history re-creation and Tudor-specific events. Kentwell’s re-creations of everyday Tudor life have recently celebrated 40 years and continue to be a popular choice for school visits. During a day at the attraction there can be up to 250 costumed Tudors re-creating an interactive, immersive and hands on experience, with the smells, sights and sounds of a real Tudor working community. The experiences are suitable for children from KS1 through to GCSE. Booking Kentwell for the new school year? Kentwell’s next Schools Living History Day is Monday, 24th September. Set in 1538, it includes gentry, cooking, woodman, potters, music, dance and crafts. Kentwell’s recommendation is to allow three half hours to get the most out of your trip. 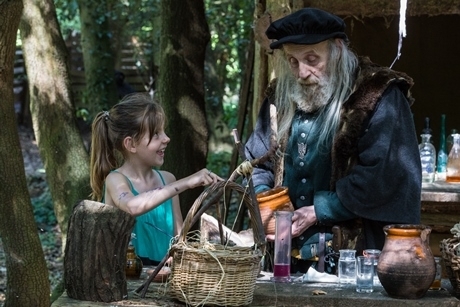 As part of the 2019 Schools Programme, Kentwell will include a Living History Through The Ages Re-creation, taking place on 23rd May, 2019. The event will take students through different history eras, starting with the Neolithic camp in the woods, to Romans, Medieval, Elizabethan and Victorian, both World Wars and through to the 1960s. The gardens, woodlands trails and grounds are all part of this historic experience which pupils can explore during their visit. Tudor Specific Days are scheduled for 27th and 28th June 2019 and teachers can call 01787 310207 for information on booking. Tudor folk will stay in character during a trip, so students believe they are engaging with figures from history. For early years Kentwell has introduced nature and woodland trails which have Story Book Adventure paths, Spot the Bugs and Where are the Bees routes. School visits are welcome throughout the year, as well as the aforementioned special events. Kentwell is a historic fully moated Tudor House that retains many original features; a Tudor Kitchen including stove, Moat House dating back to the 15th century and out buildings. Kentwell was a finalist in the Best Heritage Category in the School Travel Awards 2017/2018. For more information, visit www.kentwell.co.uk.